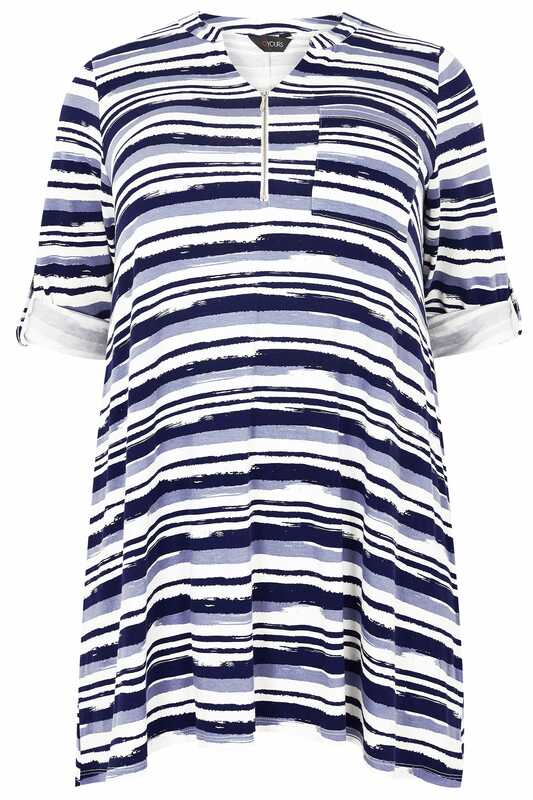 Introduce colour to your casual clothing collection with this shirt. 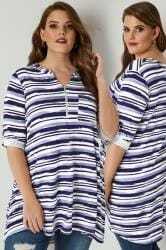 Made from a stretchy jersey fabric, it features a zip fastening at the neckline and a single chest pocket. Team with denim and flats for daytime appeal. 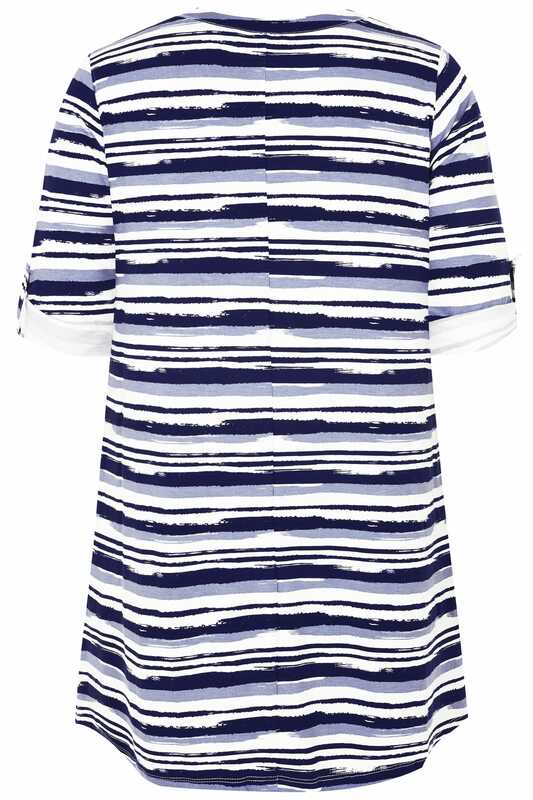 We love the striped print and the deep blue hue.